Cersaie 2017 opens its doors, and during this week becomes the international epicentre of architecture and interior design. 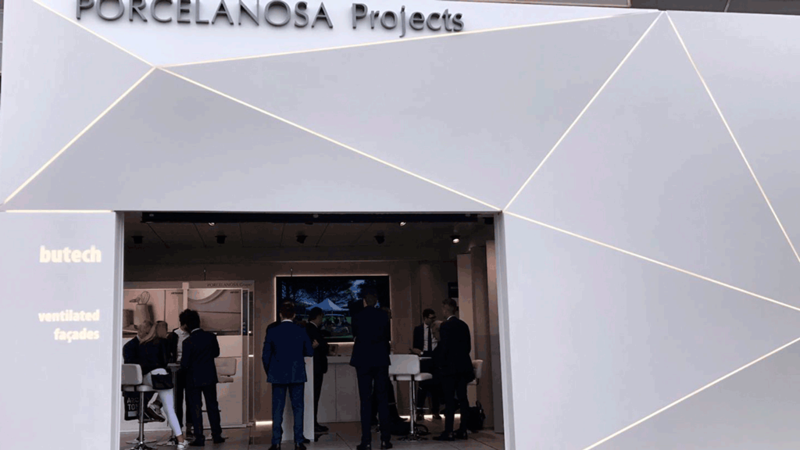 The international exhibition gathers the most important firms of the sector, and PORCELANOSA Group could not miss out on presenting its new products at this event. On this occasion, the impressive stand has water as a main theme and feature, in order to convey the concept of wellbeing and wellness at home. The eight firms that form the Group are attending this edition of the event with a presentation notable for combining architectural grandeur and technological innovation, which exemplifies the advanced solutions for contemporary architecture that the company develops, and the values that it promotes. 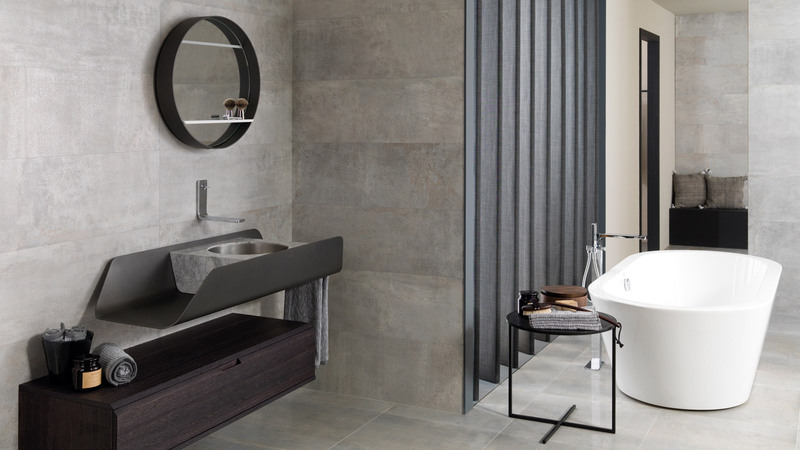 PORCELANOSA Group has created a series of interconnected spaces, designed so that users can view each new product at their own pace. It offers gradual discovery, in which each exhibition space presents a product or material from the firm, always following the maxims of quality, exclusivity and innovation. In this edition, the exhibition space is organised in two areas. 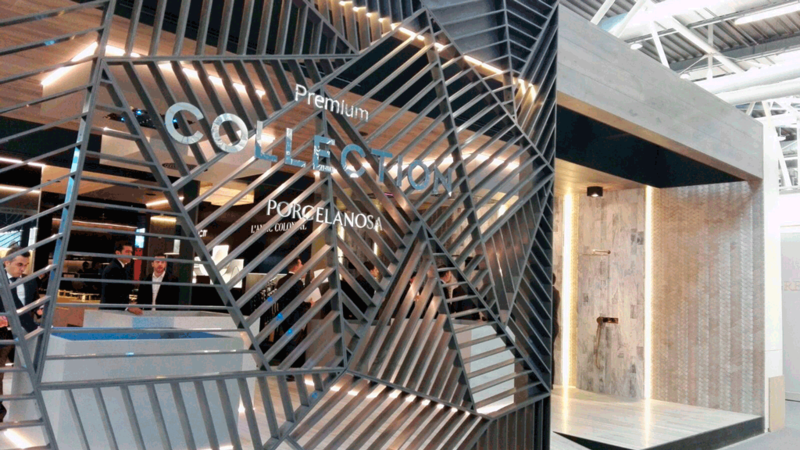 Firstly, the Porcelanosa PREMIUM Collection stand, which contains a carefully selected range of the highest quality materials of the firm and exclusive original designs; and secondly, the Porcelanosa Group stand space, in which we find the latest products from the different firms together. With regard to the covering of the facade of the space, it functions as a great shell of faceted shapes created with the Solid Surface Krion® in Frost White. We find the new products there with a lattice created with the same acrylic stone in the Taupe Concrete colour, preserving the triangular geometry of the facade, showing the interior. The Premium Collection is one of the main concepts upon which the brand’s stand has been created, and which has once again been managed by architect Ramón Esteve. 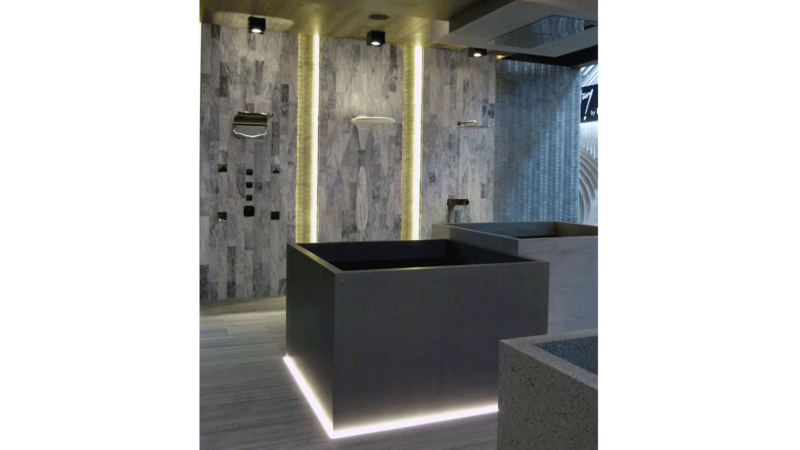 The Premium Stand features a main spa area which shows the latest models and finishes of bathroom taps. There are shower heads, taps and shower kits which can be interacted with, tested, and turned on and off, either manually or remotely using a mobile device. Premium Bath, Premium Kitchen and K-Life are the three spaces within the Premium Collection. Water, as an evocative element which can create sensations through different forms in which we enjoy it, is the main element of Premium. Systempool, Noken, Gamadecor and L’Antic Colonial show their new products, with units, taps, and shower and relaxation elements, with a Premium focus. The Premium Kitchen is presented as fully integrated in the space, where harmony and simplicity of the atmosphere are prominent, while remaining closed. 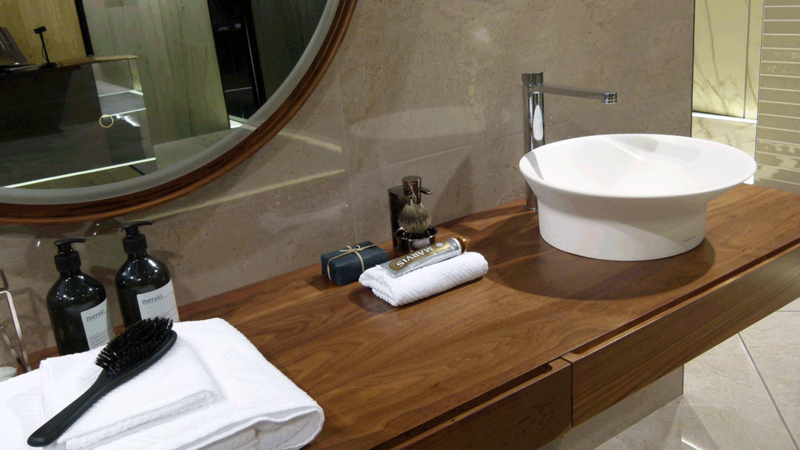 The combination of Habana Grey marble from L’Antic Colonial with Leather finish Oak, with an elaborate surface carving process to give the authentic appearance of natural wood, offer the pure, sensory aspect of a Premium atmosphere. 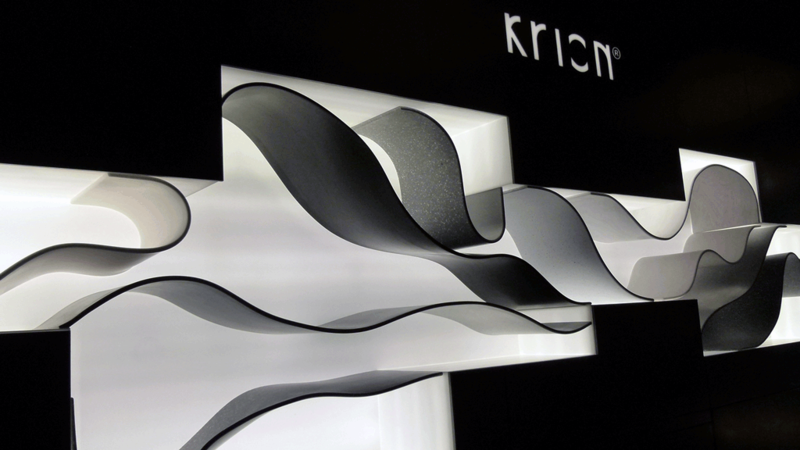 K-Life is the latest product from Systempool in terms of innovation, through Krion®, the Solid Surface of the firm. Krion® Eco-Active Solid Technology is a qualitative leap for the material, with the objective of improving people’s quality of life. It has activators which, when in contact with any kind of light, give Krion® innovative properties: air purification, an anti-bacterial factor, and elimination of up to 100% of chemical products that come into contact with the material. The room located in the Premium space shows these new qualities and possibilities that K-Life will provide society through an interactive and audiovisual experience. One square metre of this material can purify the atmosphere so that 6.5 people can breathe fresh air for a year. 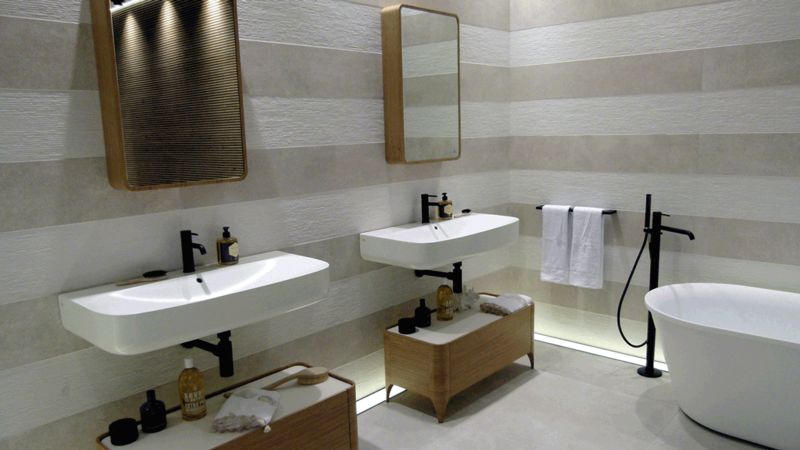 The latest products from the different firms of PORCELANOSA Group are shown together in this space. In this way, all the potential of the brand is conveyed, showing the variety and worth of the product, as well as the latest technologies applied to materials and its capacity for use in both interior and exterior spaces. Behind the large Krion® Taupe facade with faceted forms is a stand whose widened entrance leads to a service counter made from the same material in a continuation of these forms. The whole entrance is covered with the large format XLight ceramic from Urbatek, which this year has selected marbled finishes. 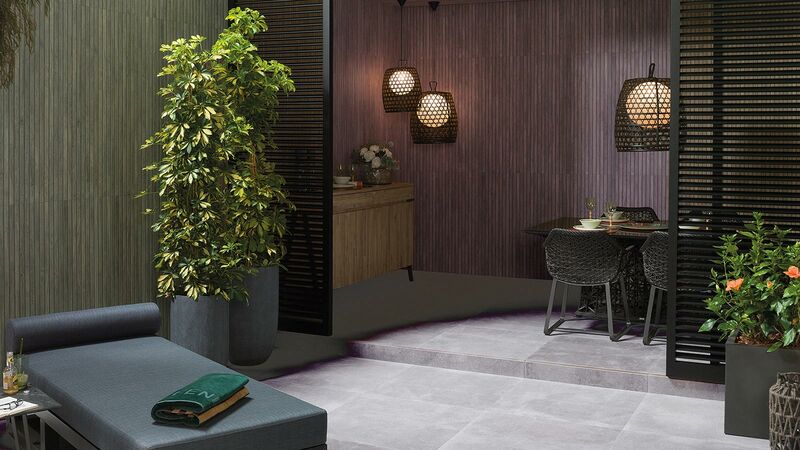 Venis is prominent in a lounge space, covered with new finishes in stone and metallic tones, as well as spaces dedicated to bathroom collections in neutral and limestone tones, and natural and metallic textures. All of this is combined with Noken bathroom fittings, and units by Systempool and Gamadecor, as well as the construction solutions of Butech. 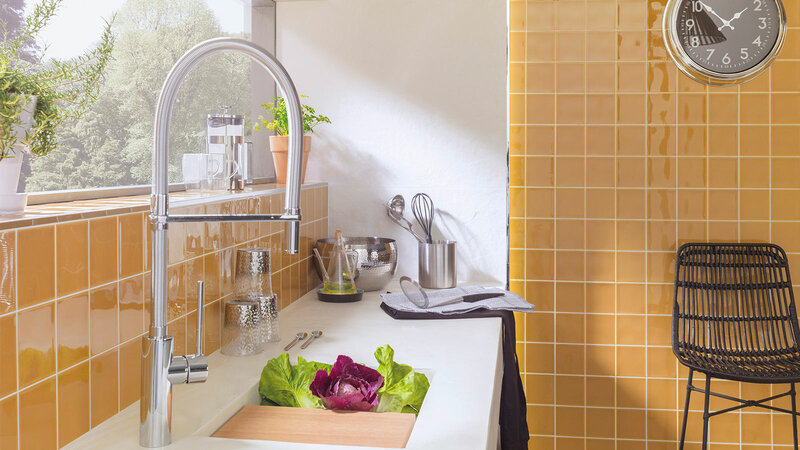 The space dedicated to the new products from Porcelanosa is notable for being structured around a kitchen created by Gamadecor, accompanied by ceramic flooring and coverings and a countertop made with Krion® K-Terrazo. It also has interesting solutions such as the integration of the exhaust hood in a tall cabinet unit, all in neutral, limestone, white and anthracite tones, seeking balance and coherence. 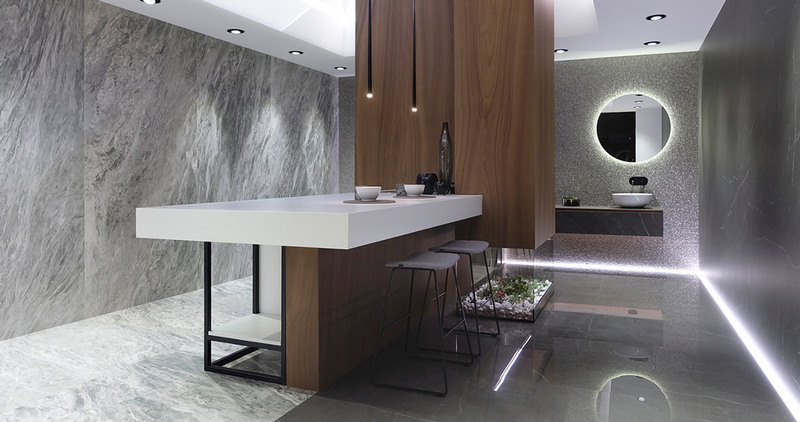 The Urbatek space bases its presentation on an area of minimalist lines where the composition of elements with the exclusive large format, fine thickness XLight porcelain, creating a sophisticated atmosphere. Marble, wood and technical porcelain cement. Located in an annexed space, Butech, the firm specialised in construction systems, presents a space dedicated to solutions for architecture in which facades with geometric elements and spaces of water are notable, with systems hidden from view to highlight the ceramic finishes. 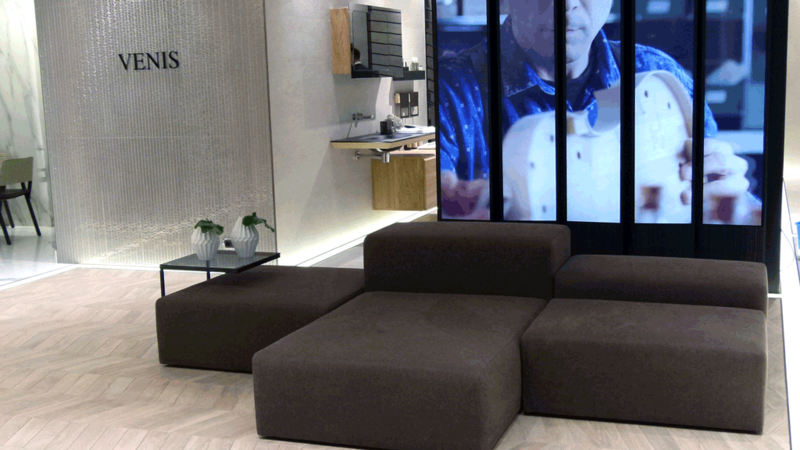 One of the most avant-garde areas of Porcelanosa at this edition of Cersaie is without doubt the new exhibition space for the Par-Ker ceramic parquet, created with cutting-edge technology, and also accessible using virtual reality. 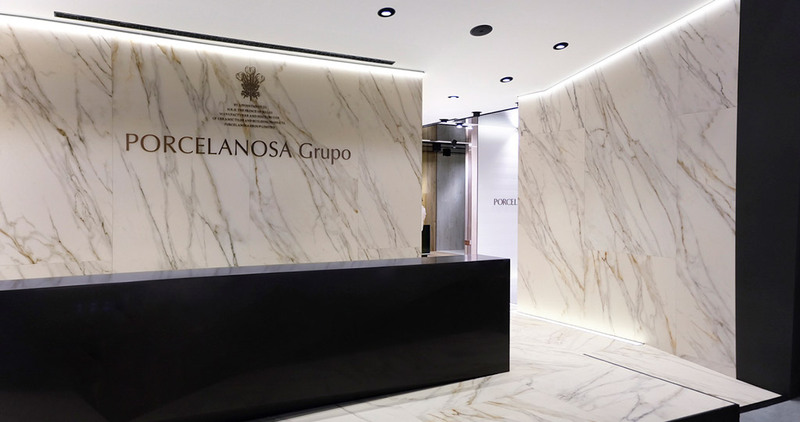 Designed by architect Ramón Esteve, attendees will be able to access the Par-Ker universe using 3D glasses, and discover the different combinations of colours of the latest Porcelanosa products.